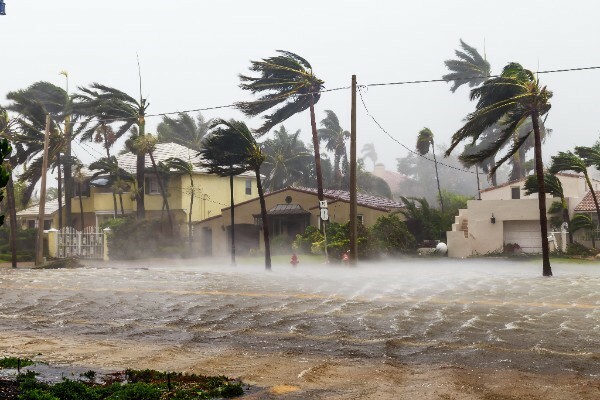 A team of researchers headed by FIU College of Business professor Shahid Hamid, using the Florida Public Hurricane Loss Model, estimates that Hurricane Irma caused $19.4 billion in wind-related losses to Florida residents alone. The data doesn’t cover flood losses. Of that total, $6.3 billion will be paid by insurance companies. As a result, roughly two-thirds of the losses will be borne by homeowners. The highest wind losses are in Lee County (Fort Myers and Cape Coral), followed by Collier County (Naples, Marco Island and Immokalee). “This is not surprising given the high level of hurricane deductibles and the less intense tropical storm in most of Florida,” said Hamid, who chairs the College of Business’ Department of Finance and is director of the Laboratory for Insurance, Financial and Economic Research, located in the International Hurricane Research Center at FIU. The innovative Florida Public Hurricane Loss Model, which is used to calculate the financial and insurance impact, is the State of Florida’s benchmark for evaluating the financial risks faced by insurance companies that write windstorm policies, and, in turn, set the premiums paid by their customers. In May, the state recertified the model for the next two years. According to the FIU team’s research, insurance companies normally pay for 25 to 45 percent of losses from a Category 1 hurricane and the payments increase to at least 85 percent for Category 5 storms. Hamid’s team includes specialists in meteorology, storm surge, hydrology, engineering, finance and actuarial science, computer science and statistics from FIU as well as the University of Florida, Florida State University, Florida Institute of Technology, University of Miami and the National Oceanic and Atmospheric Administration. About 40 percent of the work is done at FIU. The current estimates of damage from Hurricane Irma are based on preliminary wind field analysis data provided by NOAA and will be revised as more observed wind data becomes available. Florida’s 2017-2018 budget includes a grant of $960,000, which pays Hamid’s team not only to update and run the existing hurricane wind model, but for continuing work on a separate $5.6 million flood risk and loss model, as governments hope to supplement the National Flood Insurance program with private ones. The prototype for the flood model will be ready by the end of 2017.